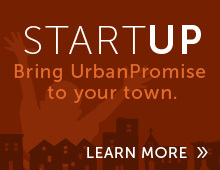 Since the birth of the original UrbanPromise in Camden, NJ, 20 other sites have been launched around the world. UrbanPromise is in Canada, Malawi, Uganda, Kenya, Liberia, the Dominican Republic, Honduras, and around the United States, serving under-resourced children and youth through AfterSchool Programs, Summer Camps, and youth job training programs. All of UrbanPromise's locations and affiliate ministries strive to achieve the same goal: to provide children and youth with the support needed to succeed academically, grow spiritually, and develop into leaders who can bring positive change to their communities. The original UrbanPromise is located in Camden, NJ. However there are also other sites in the USA. Our domestic sites are located in Trenton, NJ; Miami, FL; Wilmington, DE; Charlotte, NC; and North Little Rock, AR. Our two Canadian sites were launched in 1997 in Toronto and Vancouver. Both sites are situated in incredibly diverse neighborhoods with huge immigrant populations. Each site offers multiple AfterSchool Programs, Summer Camps, teen job training programs, and internship opportunities. UrbanPromise Honduras became the first official UrbanPromise site outside of North America in 2009, operating in high-need communities in Copan Ruinás, working with at-risk children and youth. Currently Honduras has 3 AfterSchool Programs, 6 Summer Camps, and 50 teens employed. Currently there are 7 ministries in Malawi offering AfterSchool Programs, Summer Camps, orphan care, high school education, entreprenuerial training projects, sustainable farming and girls’ empowerment programs. These sites were birthed through a partnership with African Bible College and UPI’s fellowship program. Currently we have three sites in Uganda, one in Mukono, one in Kampala and one in Bwambara. All sites run After school programs and summer camps and our Mukono site now has a school. Liberia is located on the coast of west Africa. Some of the most pressing challenges that Liberia faces are poverty, poor education, corruption, and a slow recovery from a civil war. 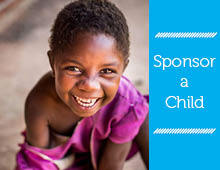 Our affiliate site in Liberia seeks to provide children with the resources necessary to overcome their seemingly insurmountable circumstances and become healthy and responsible citizens. YouthPromise Kenya is our first Kenyan site, located in Embu, Kenya. This site will offer both an afterschool program and summer camp with a focus on digital literacy. The Dominican Republic is located on the second largest island in the Carribean, sharing the island with Haiti. The population is estimated at 10.5 million with an incredible racial diversity. Issues facing the D.R. include deep racial and cultural tensions between Haitians and Dominicans, the drug trade, crime and poverty. Our first site in the D.R. is in Kilometre 26, 30 minutes north of Santa Domingo, and has a focus on using the UrbanPromise model to foster and promote reconcilation.